"I don't even know where to start with this girl. She over exceeded my expectations. She made us feel comfortable and was open to any ideas and suggestions we had. She was so sweet and I couldn't help but to hug her as soon as I saw her! Now for the pictures, I cried and cry still when I look at them. She captured every feeling and emotion I was feeling at that moment. They are so special to me and can never thank her enough! She is AMAZING and so very good at what she does!" Taylor and Nick decided to skip the big wedding full of people and traditions and instead travel from Texas to elope in the location of their dreams. Big Sur California. Hurricane Harvey hit the week prior to their big day, and they were unsure if they'd make it out to California on our planned date. Despite the hurricane, they made it to Glen Oaks and got ready in the most darling cabin together. 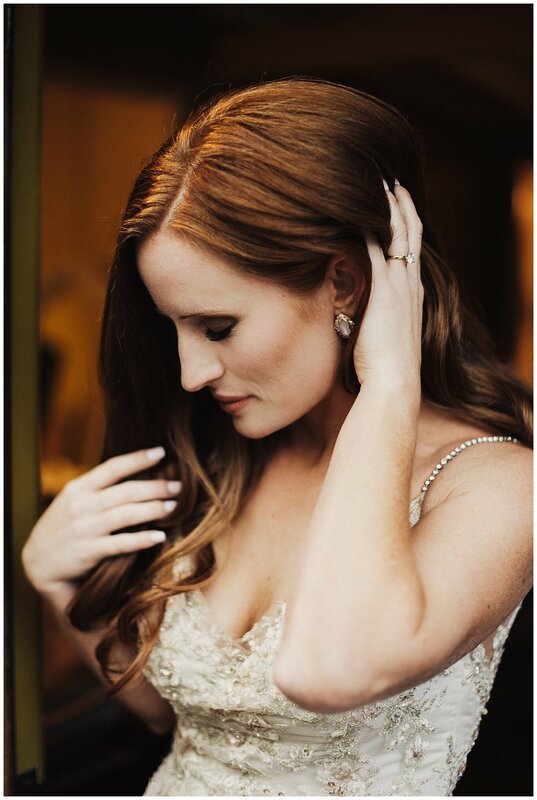 I'll be honest, capturing getting ready photo's is one of my favorite parts of the day. It seems so simple and therefore often gets overlooked, but there is nothing like capturing the happy nerves and overwhelming excitement as you prepare to say your vows. 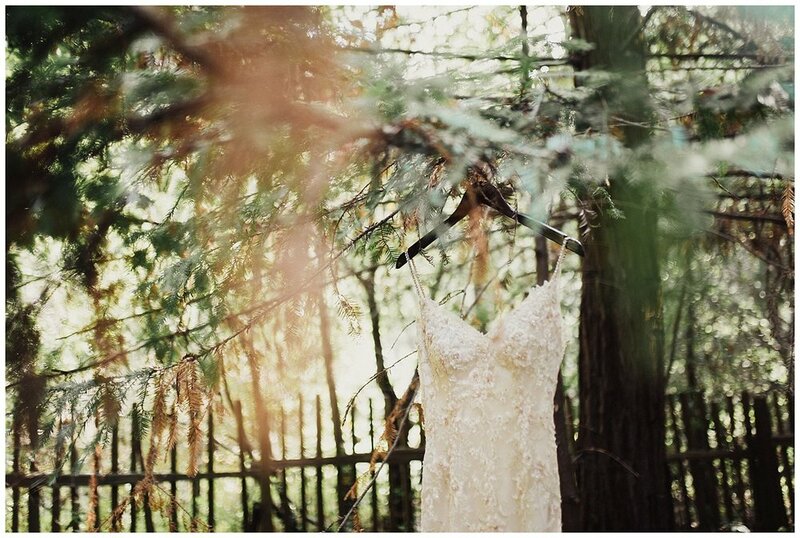 We ran down through the redwoods to a little cove of tree's for Nick and Taylor to exchange their vows. They shared loving words, shed some tears, and then celebrated before we ran (not a joke, literally ran) to our cars to drive to the cliff's with the minimal light we had remaining. Taylor dawned on her Nike's and we slid down a dirt hill to get to one of the most beautiful views I've ever seen. Do they not look like real life Eric and Ariel? 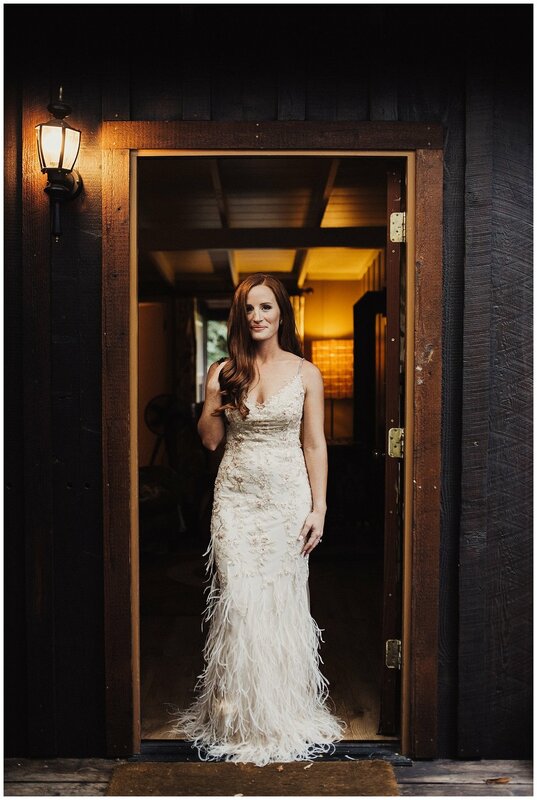 Combined with Taylor's stunning feathered gown I was convinced I was shooting the glam elopement of the little mermaid. We ended the evening with a stunning sunset before they popped the champagne and headed to dinner to celebrate privately. 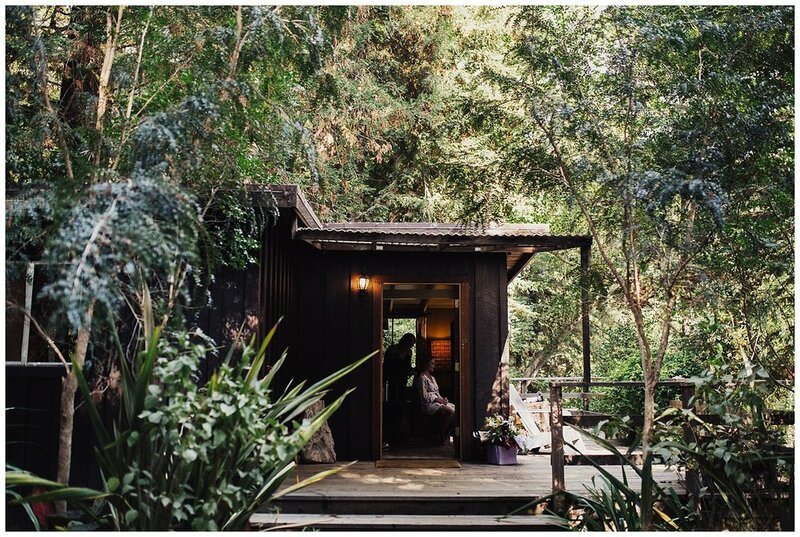 If you're wanting to elope intimately somewhere beautiful, you can already count me in. Send me a message with details and let's plan the perfect day for you!